Happy October loves! This is one of my favorite months because there are so much fall activities going on, all the seasonal coffee and pancake flavors are back, Halloween, and... well I can seriously go on and on. The temps are getting chilly and it's finally starting to feel like fall. It's crazy how a few days ago it was still 85 degrees. I finally got around to cleaning out my closet and re-arranged it to make it more fall appropriate. 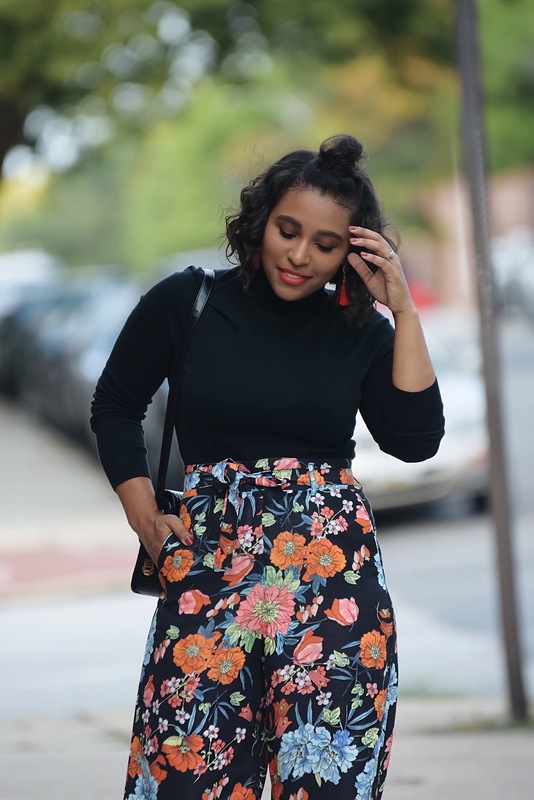 I still left a few summer pieces out because I love incorporating some summer trends into my fall looks. That's totally okay as long as you mix in well with your fall wardrobe. 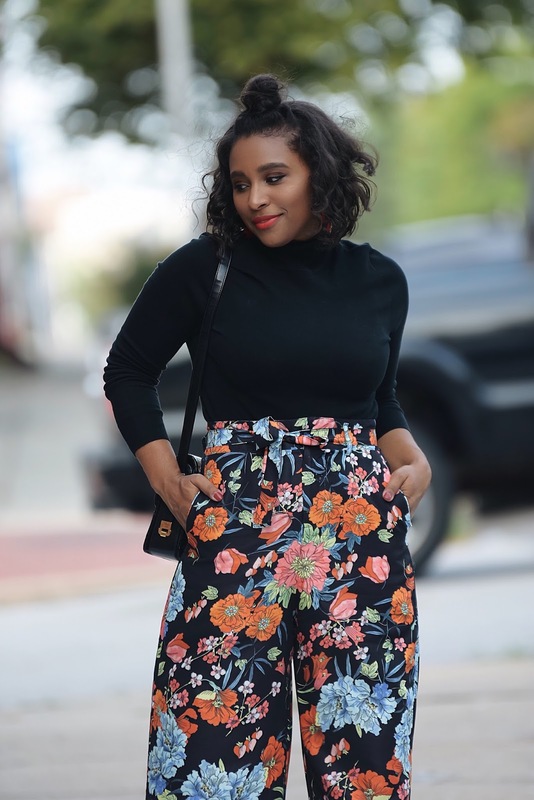 Florals are always a huge part of my summer wardrobe and I wanted to incorporate these black palazzo pants with floral print into my fall looks. To make it more seasonal appropriate I paired it with a black ribbed turtleneck. I actually accentuated the whole look with black to make the pants fit more into the whole fall vibe theme. 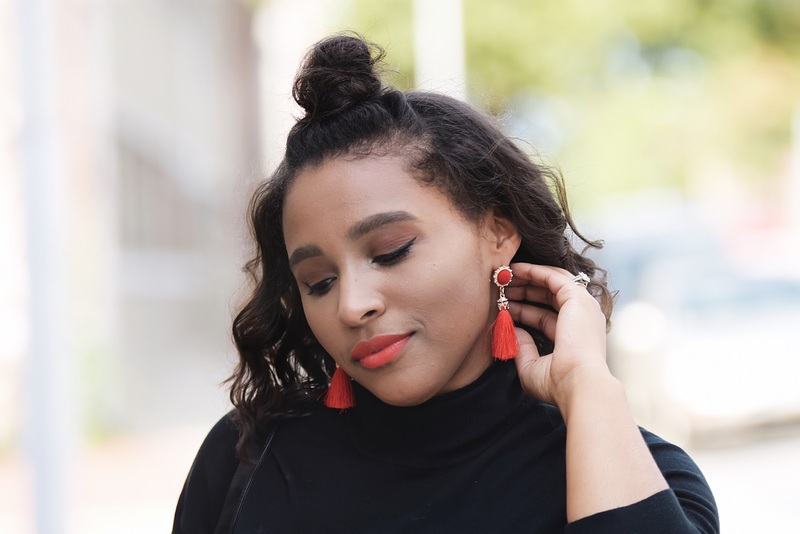 I did add a touch of color with these fun tassel sun drop earrings from Rosegal. Red is my new favorite color of the season so don't be surprised to see me incorporate lots of it on the blog. If I don't say it enough thank you for always showing me love. This blog won't be what it is without you guys. That pants are everything! y creo que se te van a perder en estos días! Son demasiado bellos y te sientan espectacular! I love this look! 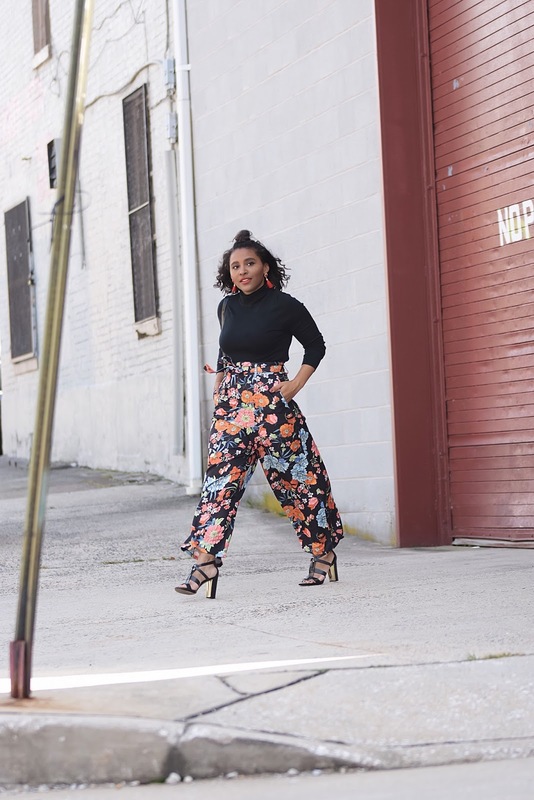 The pants are everything with these earrings! Loving them!! Those pants are so cute, they fit you like a glove! Those pants are amazing!! The print is so beautiful! The earrings tie the whole look together! The pants are so cute!! They flatter you so well!